Sous Sdei and welcome to Cambodia. Discover Cambodia’s rural countryside on your drive to Kampong Cham where Scenic Spirit awaits. Please book flights to arrive prior to 8.45am. 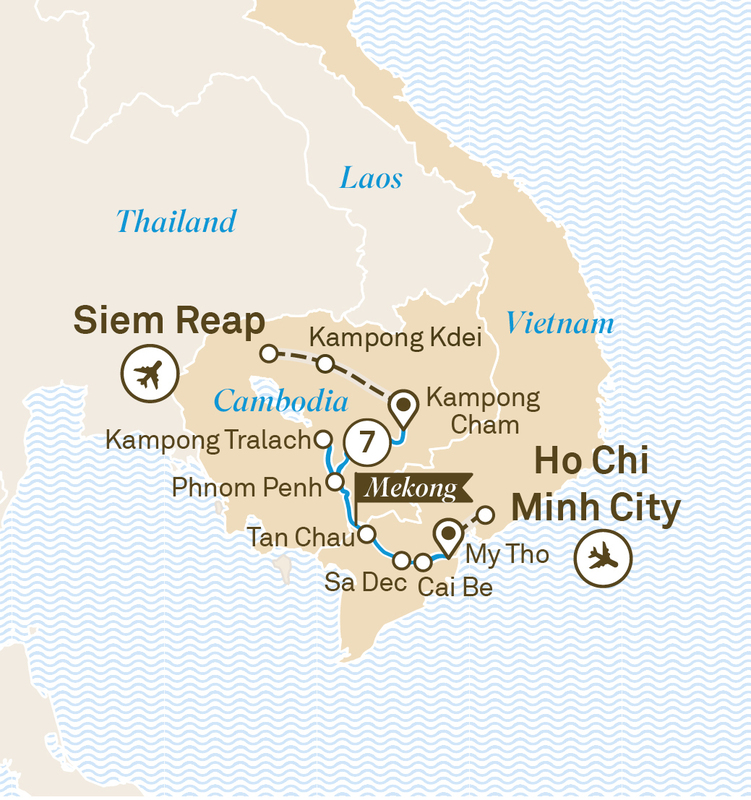 Transfer to Ho Chi Minh City airport and depart with many cherished memories.